Trenchless technology involves the rehabilitation of existing underground utilities such as water, sewer, storm, gas and electrical conduits as well as the installation of new underground infrastructures. 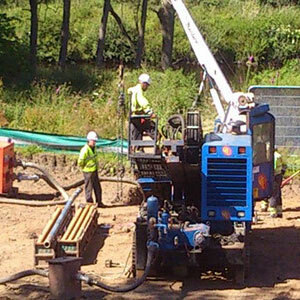 Our services in this area include everything from pipe bursting and tunnelling to shaft construction and rehabilitation (lining etc.). Our technology uses methods that minimise the construction impacts normally associated with the conventional open cut construction methods. We provide a design service for all new drill locations, the design will assess the ground conditions and confirm the feasibility of the proposed drill whilst taking into account any environmental impact. 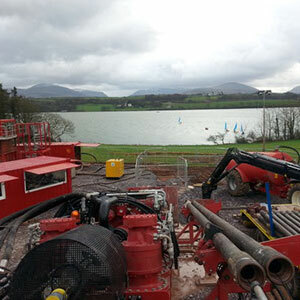 We have completed many projects employing trenchless technology. Always at the forefront of technological development, we have been commended for innovation in our project work. Costs can be substantially reduced where existing services are present or where deep excavations are required. 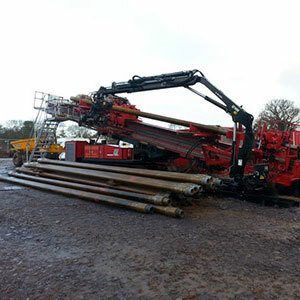 400 tonne rig – up to 200mm plus ducts for pipelines 2000m. With depots strategically located throughout the UK we can offer a Nationwide service.